James- &apos;James, where are you taking me&apos; You say to him. &apos;Just close your eyes&apos; He says while taking your hand. &apos;What if I fall into something&apos; You say. &apos;I&apos;ve got you! You will be fine&apos; He says, still holding onto you. &apos;Okay, open them&apos; He says, taking his hands away from you. &apos;Wow&apos; You say in shock. Your standing in a beautiful park. In front of you, you can see a picnic blanket and a basket. &apos;Do you like it?&apos; He asks. 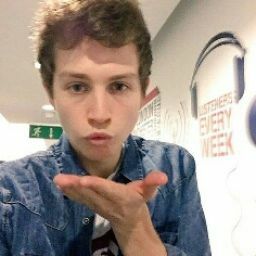 &apos;James its beautiful!&apos; You replied as you gave him a hug. &apos;Come on&apos; He says, sitting down. You sit down next to him. You both stayed there till it was dark and watched to night sky with the pretty stars. Bradley- Finally you were having a first date with Brad! You were so excited! He was taking you out for a romantic meal for the pair of you. He picked you up in his car and you drove to the restaurant. When you got there they said they were all booked up. Bradley was really upset. &apos;Don&apos;t worry about it, we can do it another night&apos; You said while comforting him. &apos;No, its fine. We can go back to mine&apos; He replied. He put his hand out for you to hold. You put your hand out and held his tightly. You went back to Brads house. That night you both watched a few films. You laughed, cried and got scared. But you didn&apos;t care, you had brad by your side. Hugging you the whole time. &apos;Sorry it wasn&apos;t much of a first date&apos; He whispered to you. &apos;It doesn&apos;t matter, as long as I have you&apos; You replied as he smiled. Connor- Connor was really nervous about going on a date with you! As you both loved being outside you suggested maybe you could go on a walk in the park. That way you could both talk to each other. Today it was really sunny so you decided to wear a pretty summer dress and cute shoes. You met up with Connor and started talking. The whole time you were walking around Connor had his arm around you to keep you close. You loved being close to Connor as you felt safe around him. As time passed it started to get colder. You both sat down on a near bench. Connor took off his hoodie and put it around you. &apos;Thank you&apos; You said. &apos;I need to keep you warm&apos; He replied while giving you a hug. &apos;Awh I love you Connor&apos; You said while blushing. &apos;I love you too y/n&apos; He replied. 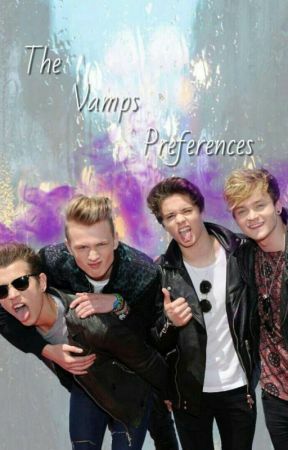 Tristan- Tristan had secretly got you tickets to see your favourite singer live. When he told you, you were so excited that you hugged him really tight. &apos;Okay,okay&apos; He said. &apos;Im sorry but, having you and my favourite singer in the same room is just, omg!&apos; You replied, really excited. When you got there Tristan kept you very close, he didn&apos;t want to lose you. The whole time you and Tristan were dancing to the songs playing at full blast! It was the end of the show &apos;Oh we have to go now, I have had such an amazing time with you Tristan&apos; You said sadly. Your face changed from sad to happy as you saw Tristan pull out some VIP passes from his jeans. He passed one to you. &apos;Are you serious?&apos; You asked him, still in shock. &apos;Yeah, come on I&apos;ll show you the way. I performed with the boys once here&apos; He said. You both walked back stage. You were shaking with excitement! You finally got to meet your favourite singer. You took a selfie with them and you kept telling Tristan about it. &apos;I know&apos; He kept saying. &apos;I&apos;m sorry, its just that your wonderful for doing this for me&apos; You replied. &apos;Come here&apos; He said, giving you a big hug.